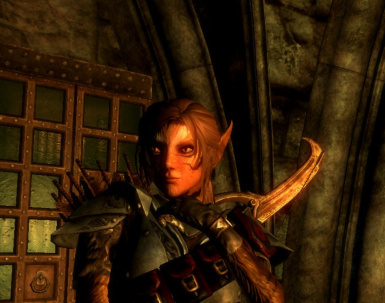 This adds a new Race to Skyrim called the Dagi-Raht. Don't just read this, come and see! I am sure you will find something you like! 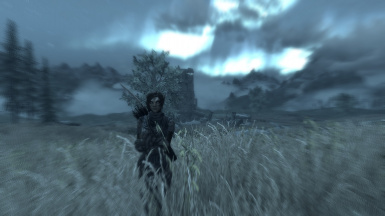 If you want to use components of this mod, please message me on the Nexus or send an email to [email protected] I'll try getting back to you as fast as I can. Editing and reusing for personal use is fine, but I would like to know if you intend to redistribute any part from this. DO NOT REDISTRIBUTE THIS FILE OR ITS CONTENTS. Westly - for making the 1st generation of this mod. Nuska - for making 2nd alive generation of this mod. ElfPuncher - for helping Nuska with the Fomod and murdering of bugs. Lylium - for helping Nuska. Added new ears, the Lynx ears. THE XBOX VERSION IS OUT! Interested in helping? see the bottom of the page and join today! Realize I did not make it, I just repaired and repackaged it. I will keep working on this though, so expect some updates. IF THERE IS A BUG OF ANY KIND, POST IT IN THE COMMENTS ASAP!!! Red = Important information. Always read these. Orange = Explanation about the mod it's self. Green = Credits, helpers, anything help related. Blue = Installation instructions of any kind. Yellow(ish) = Updates, change logs, upcoming features, projects those things. What is this weird thing you're talking about? around doing nothing and have now restored the mod to it's former glory! !! 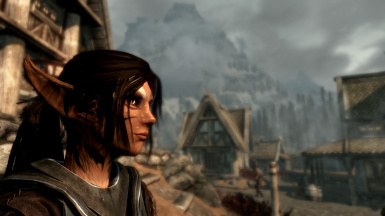 - This mod is highly recommended to be installed with a Mod Manager - !! !! - Load the zipped folder into your manager and launch the installer to get a clean allocation of the custom components - !! 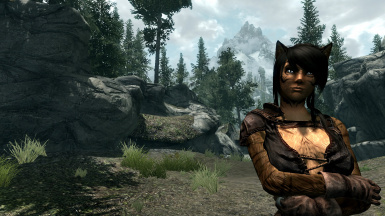 Open the '00 Core' folder and drop everything in into your Skyrim\Data directory. Choose 'Overwrite' when prompted. THIS ONLY CONTAINS VANILLA TEXTURES. If you use custom bodies, see below. *If you use Vanilla bodies, you can install one of the alternate body patterns on top provided in the 'BASE' folder. !! !CUSTOM BODY USERS READ THIS - CBBE, UNP, BETTER MALES!!! 1. Navigate to '23 CBBE/26 UNP/33 Better Males' and drop the containing Texture folder in the Skyrim directory on top of your base install. Overwrite. 2. *After this, you can install one of the optional body patterns in the 2 folders below your choice. 3. *Tick the race ESP and RaceCompatibility.esm in the launcher. If your textures look weird, double check your body mod and reinstall the textures as instructed. I will telepathically slap anyone who comes in complaining about off-kilter textures before looking through this guide. And then now: The big what are you doing today show! The mod is finally updated, it took me a while but its there. I feel like i am missing out on some features from the 277 beta though, so ill look to activate those too. Version 3.3 should be great! Thats it for today, stay tuned for more! -A fix for the cat ears looking like they are floating a bit. 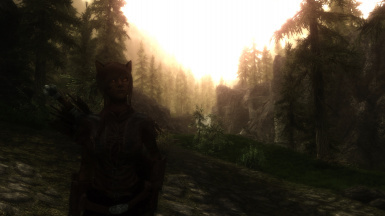 -Some patches for several other mods. -Adds ALL the original hair remodelled to fit with both the optional elf ears or cat ears!!! -A fully voice acted follower with MY voice!!!! NOTE: this will probably take ages since I will have to study on blender and Nifscope since I never used those much. Dagi-Raht originate from the southern Tenmar woods. Much is not known about them - they are thought to be magically inclined, using their feline instincts and their protective, vibrant colouring to hide themselves in plain sight. They can also wield potent destructive magic in combat. They make great thieves and illusionists, but don't shy away from battle either. -The complexion slider does nothing. This is intentional. -Male Dagi have options for facial hair that are direct duplicates of human ones. I aim to either work out a way to remove them altogether or eventually model replacing ones. For now I recommend not using them. -Ears clip through hoods and helmets. Working as intended. 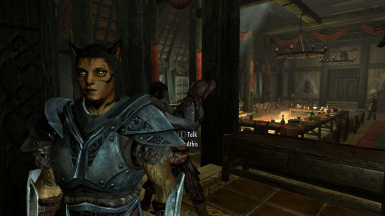 This mod was inspired by Khajiit Diversity by Westly for good old Morrowind. Since Skyrim was a blast to the past in many ways regarding tone and theme, I wanted to continue the legacy. If you want to use components of this mod, please message me on the Nexus. I am check my inbox in the morning and the evening and in between so I'll try getting back to you as fast as I can. Editing and reusing for personal use is fine, but I would like to know if you intend to redistribute any part from this. DO NOT REDISTRIBUTE THIS FILE OR ITS CONTENTS. Want to join? Look no further! Although i have gotten pretty far just by myself, i really could use some help. I am therefore looking for a small team of people. below you will find the things you can do and a small list who does what. To join the Team just send me a PM. i will respond as soon as i can. Note that my timezone is GMT+1. Like i said, all help is welcome and needed. Don't hesitate to join! Westly - for making the 1st alive generation of this mod. Nuska - for making the 2nd alive generation of this mod. Lilium - for helping Nuska and me. MONSTERaider - For the body textures. Really man, couldn't have had a better source!